The Christmas mood slowly arrived in our life. It’s a wonderful time of the year but at the same time, we start to question all the ongoing consumerism. Christmas over the years became a holiday where the focus shifted from peace, calmness and, consciousness towards fancy and expensive presents and consumerism. Isn’t it sad that Christmas is not about spending a peaceful and cozy time with your beloved ones anymore? Instead, it’s about spending tons of money for countless presents which the person often actually doesn’t really need. Presents often end up lying at home for a long period of time without being used and at the end being thrown away. Christmas should not be all about consumerism. Many people already live a quite sustainable lifestyle but then during Christmas time, they backdrop to old consumption traditions. Although thinking the whole year about mindful consumption, during Christmas time our brains often simply forget about all the important sustainable behaviors. Although we barely buy new stuff, we really want to give all our friends, family and beloved ones a Christmas gift. We want to help you to bring more sustainability into your Christmas time and to choose a sustainable Christmas gift this year. A present doesn’t have to be material, although this is already quite rooted in our brains. The most sustainable Christmas gift would be giving something non-material. There are great do it yourself recipes online. You could bake something or do handicrafts. What we love to do is do our own body scrubs or a really nice Christmassy granola. You can also think about how the perfect day of your beloved one looks, elaborate different activities and places and give him or her this very special time. Time is in our today’s world really valuable and we all barley never have time. We are sure that your beloved one will really appreciate if you give him this really thoughtful and sustainable Christmas gift. Remember that it’s not about the material value or the size, it’s about showing the other that you care for her/him and think about her/him. This is what the spirit of Christmas actually should be about! If everyone would limit the number of gifts they are giving and receiving, it would already make a big difference so why not change traditions this year and decide with your family or in a group of friends that you are only giving and receiving one present? We bet as a kid you loved the Secret Santa Game. Why not do it this year? It is fun at every age! You secretly pull names and choose a very thoughtful and sustainable Christmas gift for this one special person. This tradition is called Secret Santa, it is not only sustainable but so much fun - so give it a try! 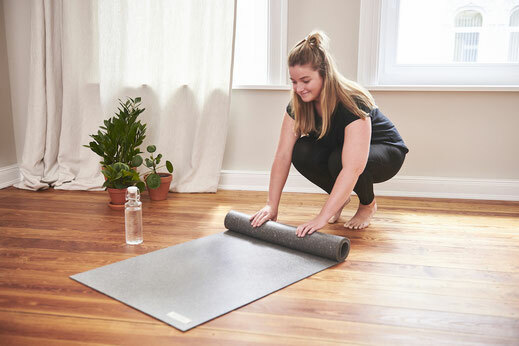 If for your own reason you have to choose a material present, try to choose a really sustainable Christmas gift like our sustainable yoga mat. It could sustainable from any local company that values fair production and thinks about the resources they use. The next tip will help you to choose a really sustainable gift. Think and inform yourself about the conditions under which the product was produced and choose the most sustainable Christmas present alternative. There are some labels which will help you in your buying decision. For materials such as cotton or coffee, it is so important to not only find an ecological version but also a fair-trade version so that it is guaranteed that the workers have not been exploited. Try to choose products which are made out of recycled materials so that not too much new resources of our planet have to be taken. Also already think about the disposal and choose products that can be recycled again. If you buy something during Christmas time, choose a long-term present which lasts for a really long time and which one uses often. Go for quality instead of quantity. 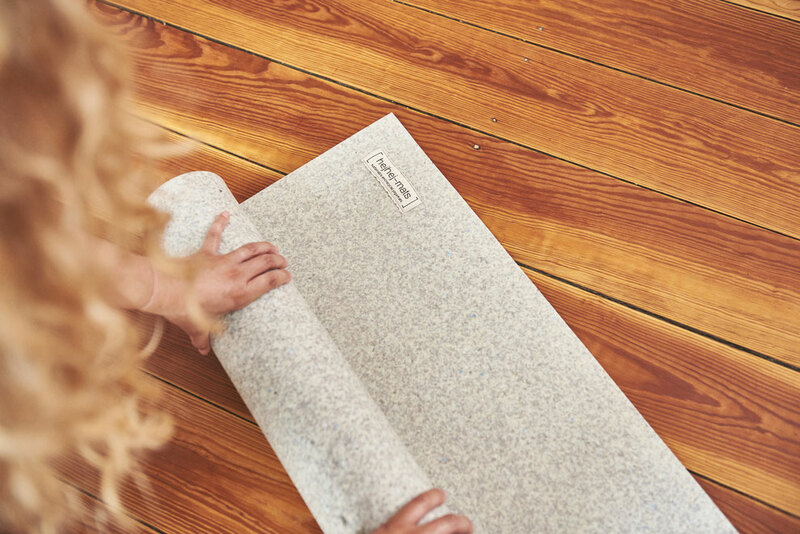 With our hejhej-mats we offer a high-quality yoga mat which is solely produced in Germany under the highest labor standards. Our hejhej-mats are therefore not only a sustainable Christmas present for yoga but also a long-term choice. One of the easiest ways to make your present more environmentally friendly is to leave the gift wrap. Buying fancy and shining gift wrap out of virgin paper is not sustainable. The wrap will only cover the present for a short period of time and will, later on, end up in the trash bin. Choose an old newspaper which you anyway have at home or use a textile to cover your present such as a tote bag. It will not only look nice but one can also use it in the long run for going shopping and avoiding plastic bags. If you still really can’t go without gift wrap, choose a recycled version or search for labels like FSC (Forest Stewardship Council).